Questo sito usa cookie tecnici e di profilazione di terze parti. Per avere maggiori informazioni, si prega di cliccare qui. Chiudendo questo banner, continuando a navigare o cliccando in qualsiasi parte dello schermo acconsenti all’uso dei cookies. You are successfully registered to our newsletter. 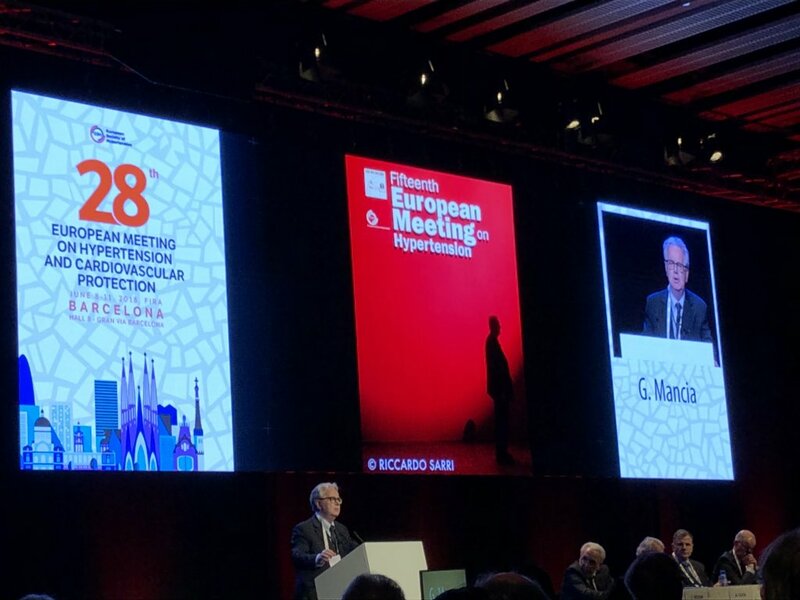 The presentation of the Guidelines for the management of arterial hypertension is a real milestone within the ESH Annual Meetings. Because it is so crucial, we identified the session as the right opportunity for both ESH and the Chinese Hypertension League to strengthen the mutual exchange of expertise and scientific knowledge, extending the audience of Guidelines presentation, with the help and expertise of AIM Group. At the ESH Congress held in Barcelona, we multiplied the audience with a live streaming that reached 5.000 additional attendees in the Chinese medical community. This multi-hub meeting strengthened the collaboration between European and Chinese associations and opened new and future projects. AIM Group has organised the ESH Congress from its very first editions, back in the 1990s, with goals through congress after congress to enable innovative approaches, grow attendance and attract new sponsors. The 2018 edition, in particular, had the objective to broaden the Association’s reach, opening up new markets and mind-sets while maintaining its high scientific and experiential levels. The idea was to go beyond physical borders and creating an articulated project connecting the congress held in Barcelona and the Chinese health professionals community. We identified the presentation of the crucial components of the new ESH Guidelines as the right opportunity to strengthen the collaboration between European and Chinese medical community and improve the mutual exchange of expertise and scientific knowledge. Live streaming was chosen as a new and effective opportunity to attract interest and communicate scientific content in a unique way. With the help of virtual technology we could integrate a traditional face-to-face meeting with a virtual session providing access to more members, groups and regions. This articulated project involved different stakeholders and local partners: technical service providers, the Chinese Hypertension League, Chinese physicians and health professionals plus local sponsors. We transformed a traditional meeting into a hybrid event, and multiplied the audience with an effective technical solution. With the spread of broadband Internet, tablets and 4G smartphones, live streaming has become highly accessible from personal devices. In this way we diversified the congress’ media channels realising a multi-hub event the yielded two real gatherings and one virtual community. "Tight connections with Europe can bring great value to the Chinese healthcare community. The live broadcast was the most effective way to expand the reach of meetings, making them truly accessible on a large scale. We are very satisfied with the results." Of course, connecting Spain and China, countries that are so far apart and so different, presented some difficulties: time zones, working style, languages, type of devices and other technical features. But, together with the local specialised partner, we created a cohesive team and developed solutions to overcome all the technical obstacles thus involving the local health professional community and sponsors in the most effective way. As a result we realised both a smooth and seamless live session called “ESH in China”, with a group of one hundred Chinese professionals gathered in Beijing and an online broadcast event, easily accessible by web and mobile by thousands of Chinese health professionals. We also considered to keeping the attention of people watching their screens high. So, we created a well-defined strategy based on three critical elements: a dedicated moderator available in the meeting room in Beijing (along with simultaneous translators), an engaging storyline to highlight the most relevant information in the session, and time for interaction and free Q&A to give a concrete and rare opportunity to the local medical community to interact with European specialists. While 2,500 delegates attended the real event in Barcelona an additional 100 physicians gathered in Beijing and 5,000 online health professionals followed the live event. This was a great number considering that it was almost midnight in China and testifies to the appreciation of this opportunity. The hybrid-event reached professionals that could not be present in Barcelona, allowing them to be brought up to date on this important scientific topic, while giving the Association the opportunity to develop its presence in new geographical areas and strengthen its partnership with the major Chinese association. 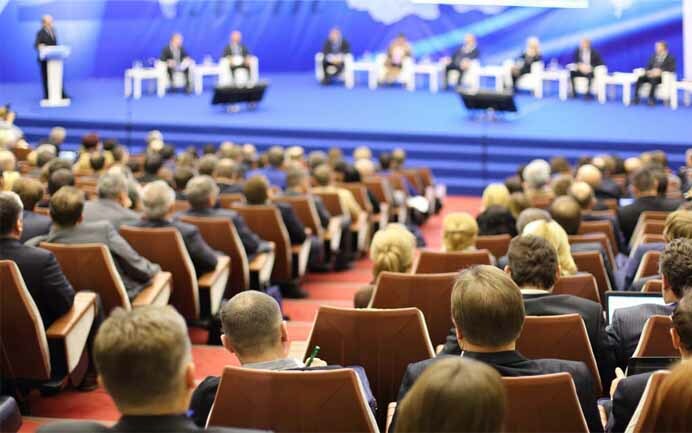 This new format introduced innovation to the congress program providing European attendees new perspectives and motivation. The model that experienced so much success in 2018 can be replicated for other editions. Also, attending a conference by live streaming motivates, just like a teaser advertisement, people to be there for the next edition. Positive results obtained through this method encourage the realisation of new powerful projects in 2019 with the goal to extend the reach even further. Innovation with a solid strategy is always worth it! Do you want to be updated on our latest projects, events and the industry news and trends? Do you need any assistance with your next project? Stay up to date! Subscribe to AIM Group newsletter.